Three plantations. Two wishes. One ancient curse. All her life, Barrie Watson has been a virtual prisoner in the house where she lives with her shut-in mother. When her mother dies, Barrie promises to put some mileage on her stiletto heels. But she finds a new kind of prison at her aunt’s South Carolina plantation instead–a prison guarded by an ancient spirit who long ago cursed one of the three founding families of Watson Island and gave the others magical gifts that became compulsions. Stuck with the ghosts of a generations-old feud and hunted by forces she cannot see, Barrie must find a way to break free of the family legacy. With the help of sun-kissed Eight Beaufort, who knows what Barrie wants before she knows herself, the last Watson heir starts to unravel her family’s twisted secrets. What she finds is dangerous: a love she never expected, a river that turns to fire at midnight, a gorgeous cousin who isn’t what she seems, and very real enemies who want both Eight and Barrie dead. This book was incredible! Martina Boone’s debut into young adult fiction is incredible and it was my most favorite mystery book of 2014! It was really well written, suspenseful, and, just simply, amazing! There is of course the gorgeous cover of this book that I need to address. The colors look so well together and it fits the story perfectly! The cover seems kind of mysterious and that is probably the best word I could use to sum up this book in one word. I loved the protagonist, Barrie, from the very first page. She’s a likable character that made the right choices in the book, and she made pretty much the same choices I would’ve made if I was in her shoes. The conflict was very unique, and the storyline was definitely something I haven’t read about before! The way the book was written kept me guessing the entire time, and I was constantly on the edge of my seat in worry for the characters. I loved almost all of the characters in the story. Eight was just amazing and I loved how he and Barrie just seemed perfect for each other. He is so sweet and is definitely going on my list of book boyfriends! The world building in this book was another amazing thing about it. There were clear details about everything that happened and the setting was incredibly well developed. There was a lot of information to absorb to be able to understand the book, but the entire time I was reading it, it wasn’t like I was struggling to remember anything, and it wasn’t an info-dump or anything. Instead, I understood everything about it. 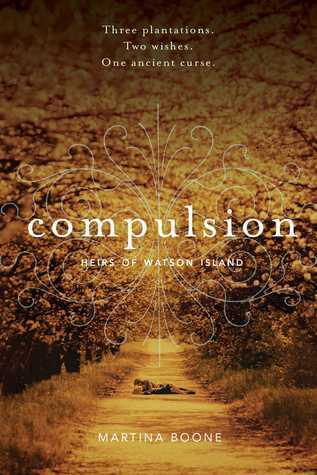 Compulsion is a fabulous debut I recommend to everyone. I seriously can’t wait to read more from this series!